The high profile, 2266 square metre site on the corner of Mill Point Road and Harper Terrace is just metres from the Swan River foreshore and the Kwinana freeway on/off ramp. It has the potential to be developed into a 12 storey mixed use or office building with spectacular 360 degree views. Knight Frank director Tony Delich said the site was located within the “South Perth Station Precinct Plan” and also within the council’s “Special Design Area” which could allow for a potential height density bonus above 12 storeys. 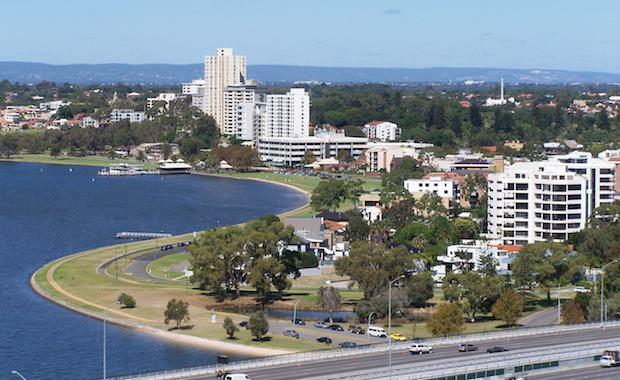 He said the City of South Perth was aiming to encourage intensive development of the area to take advantage of its ideal location, as well as significant public transport options. “This entire area will be subject to significant rejuvenation and redevelopment over the next few years with the property directly opposite also being redeveloped,” Mr Delich said. “With expansive frontage to Mill Point Road and Harper Terrace this site is one of the largest in the area and provides a gateway, corner location for a spectacular new development. “Knight Frank recently sold a similar sized site in Richardson Street, South Perth for $4300 per square metre with the same development options. “It is currently zoned within the Mends Street Sub Precinct that allows for office and mixed-use development, but ultimately it could serve any number of potential uses. Mr Delich said a twelve storey building on the site could provide a mix of retail, residential and commercial uses, with the majority of the building offering stunning river views in all directions. He said it was currently occupied by a block of 23 two bedroom apartments that would provide some holding income while development plans were being approved. Mr Delich said the site was also passed by tens of thousands of vehicles each day, providing exceptional profile and exposure, as well as excellent accessibility. The property at 96 Mill Point Road in South Perth will be sold by Offers to Purchase closing on November 20, 2013.